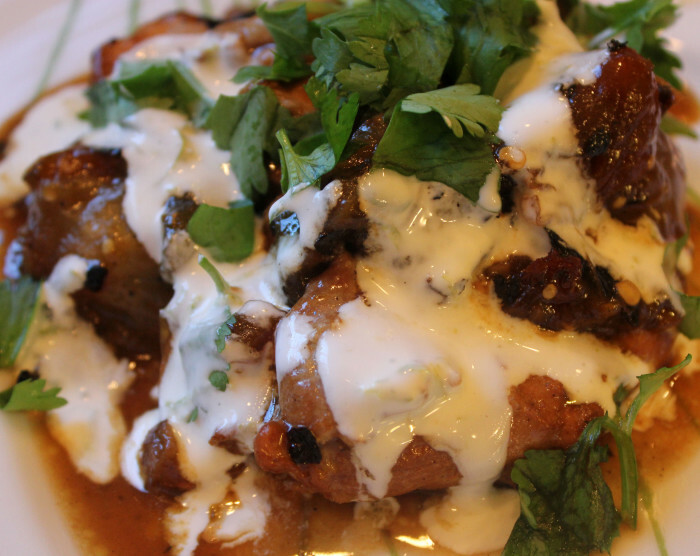 I made this in the fall and found it to be the best, best savory dish I had made all year. That is still true and I think you'll find this a crowd pleasure during this holiday season. It's rich tasting, beautiful to behold, and surprisingly easy to make. It can scale up easily, so if you have a holiday crowd ready to descend, break out the jalapenos and the tomatillos. The recipe instructions below can seem a tad ambiguous. You grill the jalapenos and tomatillos. I took most, but not all, of the blackened skin off. In other words, I did not obsesses about every black speck. So, there is black in the picture above, and some from the onion, too. I cooked the onions until “soft and aromatic” and then let them progress to the start of “black and crispy.” You can go either route or select your own path. 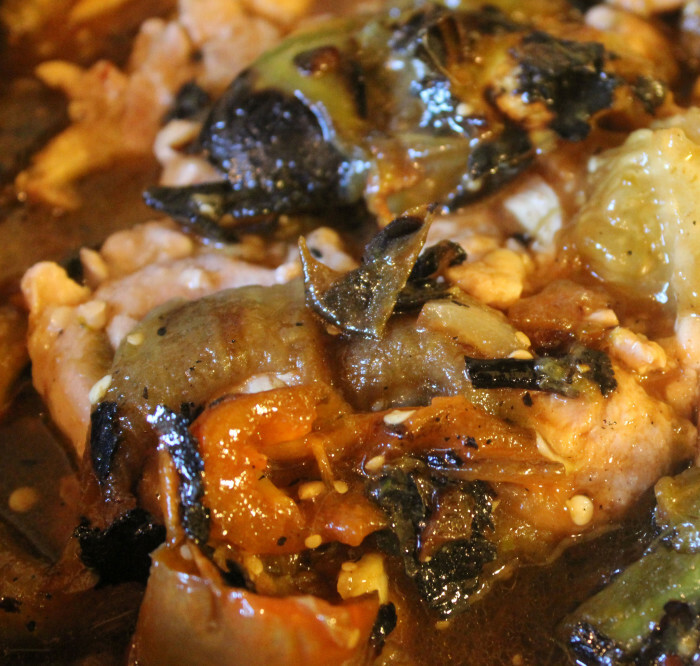 The other ingredients, the tomatillos and jalapenos, have immense impact on the dish so don’t worry about the onion. Braising is an old and almost forgotten technique. You cook long and low with the meat, the chicken, surrounded in aromatic liquid. The result here is a dish you’ll return to again and again. No matter how much, or how little, you cook. For the chicken: Preheat the grill. Place the tomatillos and jalapenos on the grill and cook until the skins char and blister, 10 to 12 minutes. Remove the tomatillos and jalapenos from the grill and let cool. Coat a large, wide straight-sided sauté pan with olive oil and bring to medium-high heat. Sprinkle the chicken generously with salt. Add the chicken legs and thighs, skin-side down, to the hot pan. Brown the chicken well on all sides. Remove from the pan and reserve. Ditch the excess fat from the pan and add a few drops of new oil. Add the onions, season with salt and cook until the onions are very soft and aromatic, 7 to 8 minutes. While the onions are cooking, coarsely chop the tomatillos and reserve. Chop the jalapenos into ¼-inch dice and reserve with the tomatillos. If you want to tone down the heat, remove the seeds from the jalapenos before chopping. Add the garlic to the pan with the onions and cook for 1 to 2 minutes. Add the reserved tomatillos and jalapenos. Stir to combine and add the chicken stock, lime juice and zest. Taste and season with salt if needed (it probably will). Return the chicken to the pan and bring to a boil. Reduce to a simmer and cover. Cook for 15 minutes. Remove the lid and let cook for 15 more minutes. This will allow the stock to reduce. Taste for seasoning and adjust if needed. For the sour cream: Combine the sour cream with the lime zest and juice and reserve. Remove the chicken from the pan and stir in the cilantro.